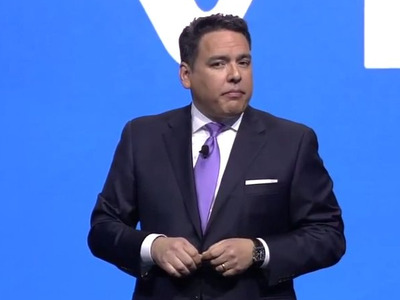 Sony Computer Entertainment America CEO Shawn Layden isn’t worried about the other guys, not even mobile and PC games. In a Q&A with VentureBeat’s Dean Takahashi, Layden touts the PlayStation 4’s incredible achievement of trouncing its main competitor on the market, the Xbox One, for 10 months in a row. It could’ve been 12 months in a row, he says, but they didn’t get enough units to market in time. On Friday, Sony revealed all of the PS4’s accomplishments on the console’s first birthday. In the past year, 13.5 million units have been shipped worldwide, and people have spent 1 billion hours playing online. Layden’s view on mobile and PC games is also interesting. The mobile games market is enormous, and will continue to grow. And e-sports online games, such as “League of Legends,” are ramping up their space in the market. In fact, the company behind “League of Legends,” Riot Games, is on track to becoming a billion-dollar business. But Layden doesn’t seem too worried. Still, he’s not opposed to finding new business models, perhaps even a free-to-play model, which is how “League of Legends” has found such great success. Free-to-play is an interesting market. It’s quicker to understand how that works on a mobile phone, or on tablet, because the development costs going in to build the application are different. When you bring it to a 75″ TV, the development cost of creating that is pretty high. If it’s completely free-to-play, you’re looking at business models where 99 per cent of people don’t pay for anything, one per cent pay for everything, and that’s how you build it out. It’s tricky. We’re working with a lot of different developers on what’s the best route to market for that.